and since then, has built its team to more than 80, pulling staff from other WPP agencies. It comprises teams specialising in seven key production disciplines including: design, photography, TV and post, web design and build, dynamic digital campaigns, social content, digital and print production and management. At the time of its launch, WPP announced staff from Agile, One20, Paragon and Carnival would be consolidated into Hogarth to create one central production agency, led by CEO Justin Ricketts, and COO David Fleer, formally MD of One20. Now, WPP is looking outside these production agencies and towards its main agencies to bolster Hogarth's capabilities. 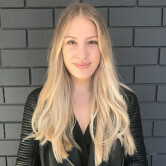 Former digital producer at WhiteGrey, Alice Fisher, has joined Hogarth and Mark Button, formerly senior project manager at Ogilvy, are among the dozens of execs who have moved to Hogarth from creative agencies. The central agency structure forms part of WPP's global ‘horizontality' strategy, that allow clients to tap into talent from across the group, rather than one single agency. WPP as a holding company is facing serious challenges and boss Martin Sorrell has been upfront about the financial pressures it’s under from clients who are decreasing their marketing budget. As a result, WPP seems to be working hard to claw its way back to the top of the advertising food chain. 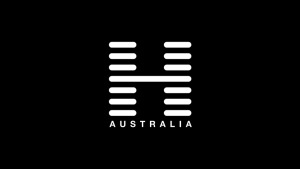 A WPP AUNZ spokesperson tells AdNews that some creative agencies are engaging directly with Hogarth as their “central production resource”. “Since launching in May 2017, Hogarth Australia has grown significantly as an increasing number of clients demand higher amounts of content across multiple platforms, and see the benefits of utilising the efficiencies created by Hogarth’s model. “Part of this growth has seen Hogarth tap into and directly use production talent from across the group and its agencies to provide clients with a genuine end-to-end production offering. WPP seems to be in the process of overhauling its creative structure with a slate of changes rolling out across the portfolio. WPP let go Y&R Phil McDonald in favour of Leo Burnett CEO Pete Bosilkovski and let go of WhiteGrey CEO Miles Joyce, two weeks after other WhiteGrey CEO Paul Worboys resigned. There has also been redundancies at JWT as it restructures to cater for Vodafone, a revamp of the Ogilvy creative teams and Ogilvy CEO David Fox has stepped up to chief transformation officer of the group. WPP AUNZ is pulling production and design capabilities out of its main agencies, Ogilvy, JWT, Y&R and WhiteGrey, and repositioning them within Hogarth. Sources tell AdNews the move has been a point of conflict within WPP agencies that have been forced to farewell valued staff and are left lacking production skills internally. “It’s common knowledge within WPP that no production people will be left in creative agencies,” a source tells AdNews. Sources confirm up to 20% of the staff are allocated to production within WPP’s main agencies and will be transferred to Hogarth. Hogarth, WPP’s global production arm, launched in Australia in May 2017 and since then, has built its team to more than 80, pulling staff from other WPP agencies.